I feel quite silly posting this very naive audio walk around the country town of Shropshire. I recorded this quite a few years ago when I first met my friend Harriet and together we took a stroll around the town. 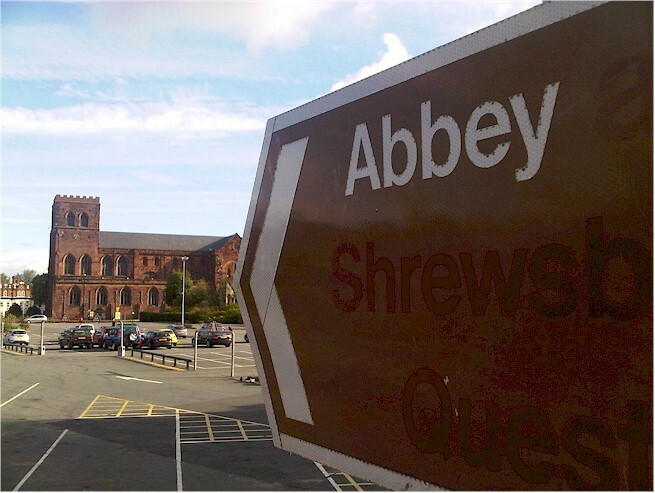 I now know so much more about Shrewsbury, its history, its people, the coaching inns, the castle and abbey. The second Bald Explorer video episode was shot there, although not really about the town as such. I do want to produce a more comprehensive video, episode and guide to the fascinating town. History oozes from the pavement in this place with its Elizabethan timber framed houses and grand Georgian parades. Shropshire as a county is definitely worth exploring in more detail. It is one of those places that people have heard of but cannot always pinpoint. It is on the border with Wales in the west Midlands. Shrewsbury is only 15 miles from the Welsh hills and at one point in its history was considered to be the unofficial capital of Wales. The town had many skirmishes with either its neighbours or with the English people. The Battle of Shrewsbury (1403) took place just outside the town walls and was result of an uprising against the King, Henry IV and Harry Hotspur. It is where Prince Henry, of later Agincourt fame, received a wound on the cheek from an imbedded arrow head. Author Ellis Peters based her famous detective monk, Cadfael, here at the Abbey. Charles Dickens stayed many times in the town at the Lion Hotel. Charles Darwin grew up here and much hated and despised Judge Jefferies went to school at what is now the town library. Anyway, this is an early recording and one that introduced me to the town. I will be exploring more, of that I am certain.